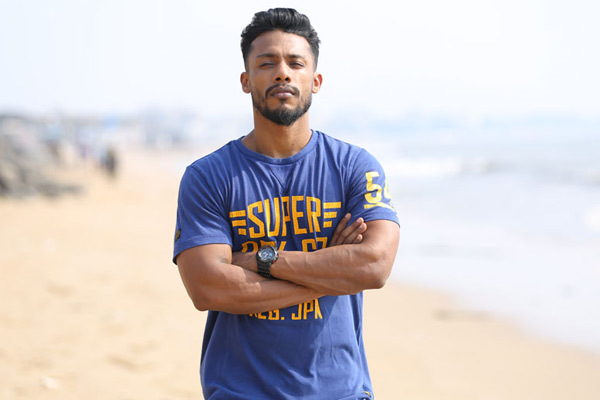 MUMBAI: Touted as the most inspirational rapper, singer and songwriter, Dino James has once again given the youth their next motivational anthem in his latest song ‘Unstoppable’. At a time where rappers limit their content to entertainment and fun, this young rapper insists on giving his audience inspirational songs evolving out of his own personal experiences. Unstoppable intensely speaks of the ray of sunshine at the end of all life’s struggles and how not giving up is one major ingredient to success. It is set to inspire and motivate anyone and everyone who is discouraged by life’s obstacles. To reflect the same thought, the video of the song brings out the story of an obese girl who embarks on her journey to become healthy and fit. Her desire to achieve her goal begins with taking the first step. Unstoppable stands for that first step followed by other baby steps that people often refuse take because of various fears and insecurities imbibed in them. “Being someone who has heavily battled depression and suicidal tendencies, I can deeply empathize with people who face the same, especially the youth. Unstoppable is for them and for anyone who feels bogged down by life’s struggles. In my journey so far, I have realized that no matter the circumstances, no matter what life throws at you, you have to learn to not give up. If you are too tired, you rest, but then you get up and move on again and believe me things eventually fall into place. I don’t know if this philosophy of my life is right or wrong, but it works for me. Always, I never stop, I am Unstoppable”, says Dino. Produced by India’s largest digital video and content network, One Digital Entertainment, Unstoppable has gone on to garnered across 1.2 million views in just 24 hours. At present, it continues to trend consistently on YouTube and has gone on to become a rage amongst the young audiences. Dino is most widely known for his songs Girlfriend and Loser that went heavily viral on the internet not very long ago. Hailing from Bhopal, Dino moved to Mumbai a few years ago with a dream to become an actor. After realizing that bit may not materialize, Dino went through a very tough phase. Eventually, he started rapping and took to YouTube and today he is one of the most well-known YouTubers with over 600 thousand followers. He recently collaborated with Akriti Kakkar on Valentine’s Day for a song called Tujhe Meri Yaadein which got over two and a half million hits.